Rain or Shine and Alaska booked much needed victories in action from last Friday in the 2016 PBA Governers’ Cup. The Alaska Aces assured themselves a place in the Oppo PBA Governors’ Cup quarterfinals after defeating the NLEX Road Warriors, 100-85, on Friday at the Mall of Asia Arena. LaDontae Henton posted 27 points and seven rebounds to lead Alaska, which moved up to 6-5 after a fourth consecutive win. RJ Jazul added 14 points and six assists while Vic Manuel chipped in with 13 markers from off the bench. Calvin Abueva and Sonny Thoss finished with double-doubles, both scoring 10 points and finishing in double-digit rebounds. With the win, they avoided any potential complications in the standings, finishing clear of NLEX (5-6), Phoenix (5-6) and Rain or Shine (4-6), which are all gunning for one of the last two spots in the top eight. 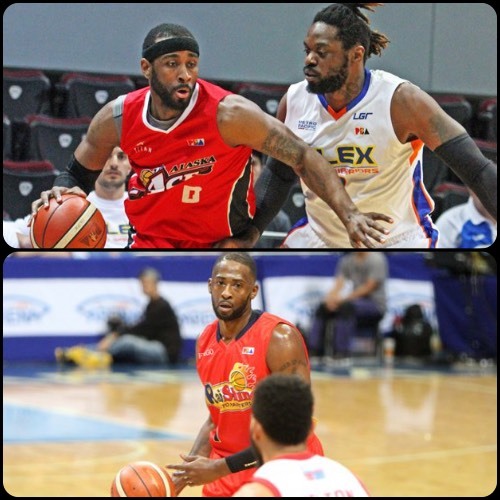 Henry Walker led NLEX with 29 points and 10 rebounds. LaDontae Henton (ALA) - 27pts, 7rebs, 2asts, 3blks, 3 triples, 11/22 FGs. Henry Walker (NLX) - 29pts, 10rebs, 3asts, 1stl, 6 triples. The Rain or Shine Elasto Painters kept their bid for a spot in the 2016 Oppo PBA Governors’ Cup quarterfinals alive after surviving the Star Hotshots, 108-97, on Friday at the Mall of Asia Arena. Import Josh Dollard led the way with 27 points, 14 rebounds and four assists for Rain or Shine, which wrapped up its campaign at 5-6, tying NLEX and Phoenix in the standings. The Elasto Painters will play a knockout game against the Fuel Masters for the eighth and final spot in the quarterfinal round. Beau Belga provided some support with 14 points while Paul Lee added 11 markers and five assists. JR Quinahan also made an impact with 10 points. All three came off the bench in the game. Four other Elasto Painters scored eight or more points. The Hotshots finished with a 2-9 record. Josh Dollard (ROS) - 27pts, 14rebs, 4asts, 1stl, 1 triple. Joel Wright (STA) - 27pts, 10rebs, 3asts, 3stls, 1 triple, 9/13 FGs.